Ralph Waldo Emerson, an American essayist and poet, said in his 1841 essay “Compensation” that: "in the order of nature we cannot render benefits to those from whom we receive them, or only seldom. But the benefit we receive must be rendered again, line for line, deed for deed, cent for cent, to somebody." In a Papua New Guinean society saturated with disenfranchisement and disillusionment, it would be difficult to imagine many willing to do as Emerson suggested. That is to lend a helping hand willingly and without hope for compensation. And in a society where cynicism and negativity abound, it would be even harder to imagine people helping others as payment for help they themselves received. Unfortunately, many in this country find themselves unwittingly stuck in a society where the negativities far outweigh the positives. The sort of positives they can rest upon when they desire inspiration from their society. The sort of inspiration that gives them hope and promise. But rather than dwell in society’s muck and mire, do we ask ourselves often enough whether we are capable of instilling change? A change to the situation we find ourselves in? And that under which others do as well? Indeed the ability to change our station and situation in life may rest with how we help ourselves by helping others. 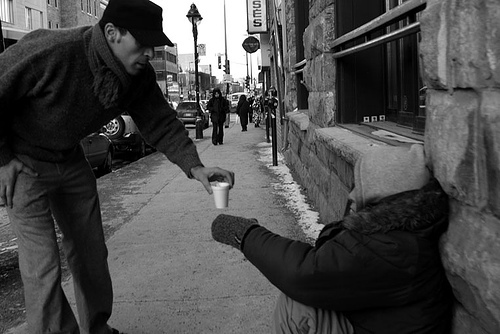 Whilst the idea of helping someone as payment for kindness shown to you is not new, the “Pay It Forward” movement began to take form and shape in the year 2000 after a book by Catherine Ryan Hyde (titled Pay It Forward) was published and later turned into a movie of the same title. So profound was the impact the book and movie had on many people that several “movements” espousing the ideals promoted by the concept began to sprout all over the world. In the United States, the Karma Seed Foundation was created after the founder was reunited with a video camera he had previously lost. All through the kindness of a total stranger. The Pay It Forward Movement and Foundation was “officially” founded in America and has been reported to have been the catalyst for millions of random acts of kindness throughout the world, some significant in nature, others not so. These acts include a stranger helping to pay Aus $10,000 for a woman to have a liver operation she could otherwise have not afforded. And then there was the little boy who, when he saw that a parked car was about to be ticketed, asked his mum if he could top up the parking meter to stop the person getting booked. It saved someone a $79 fine. “It is my wildest dream that the concept of paying a favor forward instead of paying it back would take over the world and results in a cascading flood of people helping their fellow human beings. “This may never come true but I believe that if just one of the people I help does the same for another person then it has made a difference to the world. “I remember in Lae as a kid as part of our Hospitality classes we brought fruit to the children’s ward at Angau. Each child would be sent home with a note asking to bring money to take to the main market the next day. “During our lesson the school bus would take us all down to the market as we walked in pairs to buy as much fruit to take back for our visit. We would then head back to school and cut the fruit up and then visit the hospital. “It taught me from an early age to have compassion for others and not take things for granted. If only this was still practiced in schools today, our kids might learn a few things other than FB and video games. “After moving to Port Moresby, I volunteered alongside people from the Red Cross and Rotary to read to kids in the children’s ward and cart around food and magazines. I used to read the books in English and then translate in tok pisin, which was always a good laugh. POMGen was also the first place I witness someone die in front of me during my rounds. Another harsh reality of PNG life. An International Pay It Forward Day was founded by Blake Beattie in 2011 and the first such day was declared for the last Thursday of each April. The aim of the day was to teach people the virtues and values of giving. Of giving without expecting returns or payment. Beattie says of the Day that “there is tremendous power and positive energy in giving – it is a shame that not enough people have experienced it to the fullest. Pay It Forward Day is about all people, from all walks of life giving to someone else and making a positive difference. At last count there were more than 500, 000 people in 38 countries around the world participating on the day. It is expected that the International Pay It Forward Day will be a significant feature on international calendars for many years to come as the message of sharing and caring is evangelized. Be attentive wherever you are for opportunities to help someone. Perhaps you have an elderly or disabled neighbor who is too proud to ask for help with their yard work or maybe you're in a restaurant and see someone who looks like they could use some kind stranger to pay for their meal. 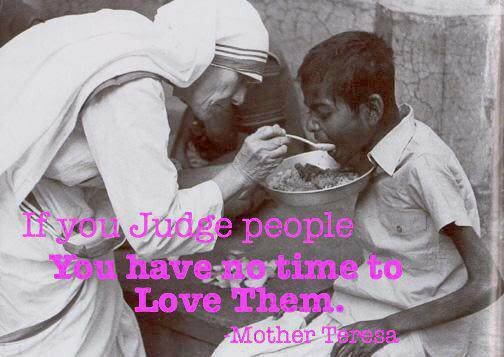 You can change people's attitudes about the world through your unobtrusive acts of kindness. Do something nice for someone you don't know (or don't know very well). It should be something significant, and not for a person from whom you expect a good deed -- or anything at all, for that matter -- in return. Spread the word. If the person thanks you and wants to "repay" you (that is, pay it "back"), let them know that what you'd really like is for them to pay it "forward" -- you'd like them to do something nice for three people they don't know, and ask those three people to do something nice for three more people. The idea is to consciously increase the goodness of the world. Pay it forward. When you notice that somebody has done something nice for you, make a note in your mind to practice three acts of kindness towards other people, as described in Step 3. “Carry out a random act of kindness, with no expectation of reward, safe in the knowledge that one day someone might do the same for you”- Princess Diana, Princess of Wales.